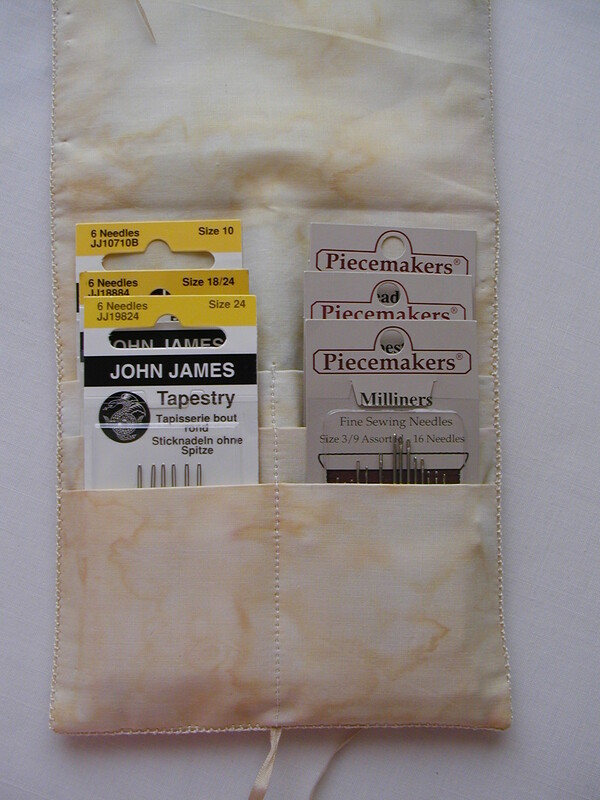 Who doesn't need a special something to hold their needle packets? Since I use a lot of different types of needles in my embroidery, I like to keep them in their packets. I've made a needle case to organize my packets that will help me find the needles I need easily. I hope you will enjoy making your own needle case and will find this tutorial useful. If you have any questions or need clarification on any of the steps, leave a comment here and I will try to answer in this section for everyone's benefit.